LG G4 is the next big thing coming in the smartphone industry, so it's worth reporting every new piece of the information that we get on the upcoming device. Last week, the first press renders of the alleged LG G4 leaked online and we now have a pretty good idea on what the South Korean company plans to go with its next flagship smarpthone. 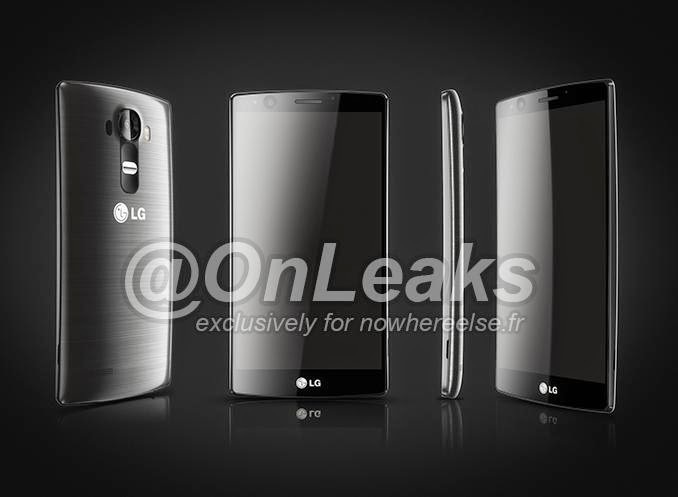 The said pictures confirmed that the G4 will feature a curved form factor, just like the LG G Flex series. However, no details on the size of the display were available at that time. The good news is the same person that published the pictures is now back with more info on the matter. So, according to @OnLeaks, LG G4 will boast a large 5.6-inch capacitive touchscreen display, which is a bit unusual for smartphones these days. Apart from that, there aren't any other details regarding the phone's specs. Still, for those who want to know more about the G4, here is a quick rundown of all the rumors we got on its specs. First of all, the LG G4 will be equipped with a Qualcomm Snapdragon 810 processor, probably clocked at 2GHz, which will be complemented by 3GB of RAM and 16/32GB of internal memory. We also know that the phone's camera will offer 4K video recording, as well as LED flash, probably Laser auto-focus feature and OIS (optical image stabilization). As mentioned earlier, the 5.6-inch display will support Quad HD (2560 x 1440 pixels) resolution, as well as Corning Gorilla Glass coating. We're not yet sure whether or not LG will also include its self-healing technology for the back cover as it did for the G Flex, but it's highly likely. LG G4 is expected to be officially unveiled in mid-April, but we're pretty sure many of its specs will be leaked by then, so stay tuned for more updates on the matter.